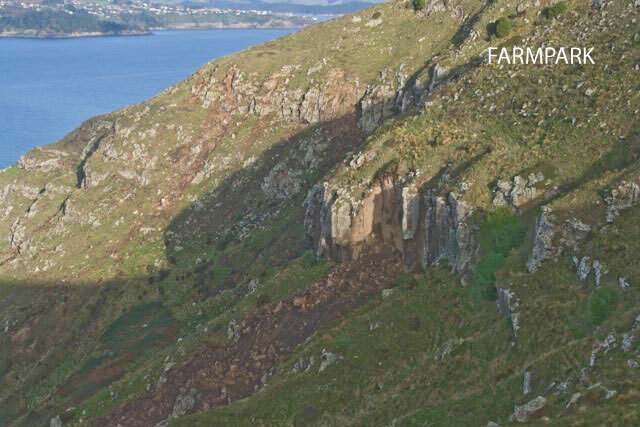 Farm Park is one of the numerous outcrops of variable quality rock on the Lyttelton Harbour (south) side of the ridge which runs out to Godley Head from Evans Pass. Climbed on back in the late 1970s, the crag didn't gain much attention until the more popular crags became worked out and the route baggers went looking for fresh ground. Some of the ground here is still a little fresh . . . 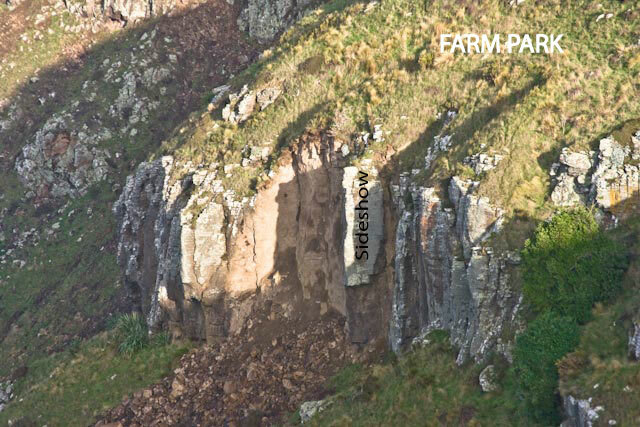 Being south facing, the crag tends to be cooler and more prone to dampness than others. On hotter days this can be a good thing. Due to the low traffic volumes, some of the routes are less clean and stable than they might be: watch out for loose rock. Because the crag is approached from the right, the sequence of routes can be confusing. The current attempt to deal with this divides the crag into smaller areas, and sequences the walls from right to left (the order you see them in), but the climbs from left to right. We'll see how that works. The new wall designations are based on those used by Tony Burnell. Drive along the Godley Head Road to where the track crosses the road at the last layby above Taylors Mistake. Park cross the road and fence by some boulders, watching out for concrete man-traps. 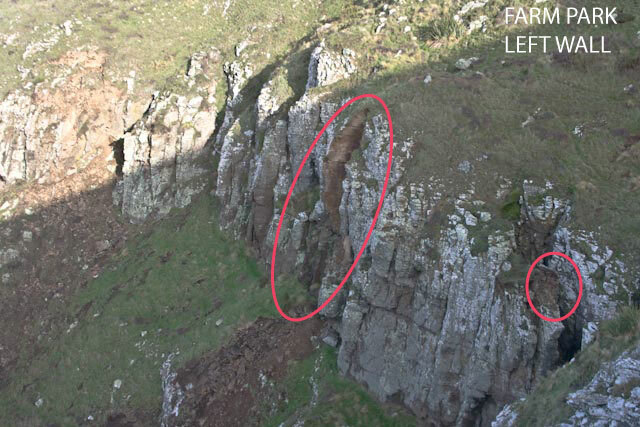 A few tens of metres down the hill a crag will become apparent to the right (west). Although the crag is approached from the right, descriptions are ordered from left to right. There has been a load of rebolting at farm park so this information will need correcting.Missing a few routes at the right habnd end.